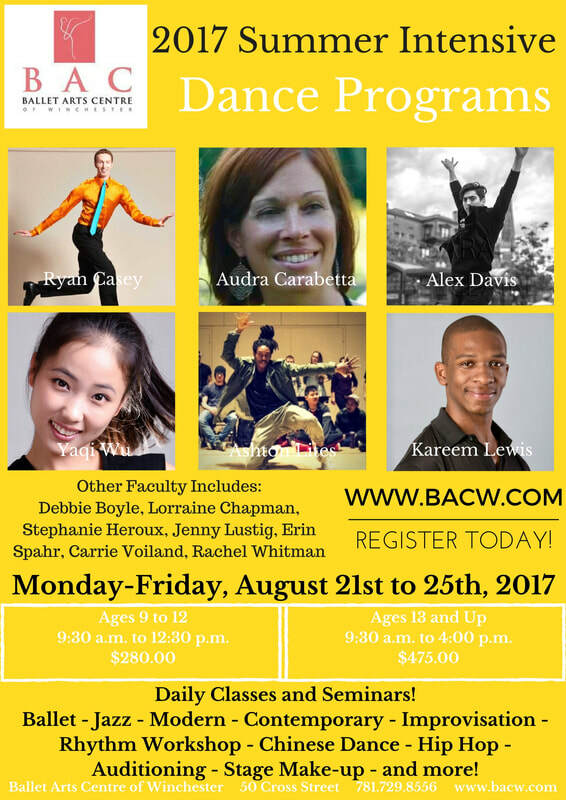 2017 August Summer Intensive Program - Ballet Arts Centre of Winchester, Inc.
BAC Staff Members as well as some of Boston's finest Guest Teachers! Daily Classes in Ballet, Jazz, Modern, Contemporary, Musical Theater, Hip Hop, Improvisation, Variations, Choreography, Ethnic Dance, and more! Daily Classes in Ballet, Jazz, Modern, Hip Hop, and more! Workshops, Seminars, Master Classes, and Guest Teachers! Tuition is non-refundable after July 1st, 2017.